#1.) Snuggle Up & Watch Movies: Watch movies that you did when you were younger or a child to bring back those warm fuzzy memories. Pick movies that when you are watch them, they make you think of the good ol’ times you had with friends and family around that time. If you do this while on the HCG Diet, you can spend time quoting the movie instead of watching the clock and seeing when the next time you get to eat. #3.) Reflect: Write down how you will FEEL when you have reached your goal weight. Journal can be really beneficial during a weight loss journey because you can right down goals and the process of reaching those goals, how it feels, etc. Then once you have reaches those goals, you can look back on those words and be inspired and proud of how far you've come. #4.) Dream of being skinny: Write down AT LEAST 20 things that you will enjoy doing more once you lose the weight. Such as... playing more actively with the kids, wearing a swimsuit, getting dressed-up, going to social events, etc. #5.) Go to the theater: Go see a movie, preferably a funny one. Go in the evening and enjoy the movie while the hours fly by... it might be hard to skip on the popcorn and candy. You can always pack your HCG Diet dinner in your purse and enjoy it during the movie, like sliced pre-cooked chicken breast and a baggie full of celery. #6.) Organize: Get around to organizing something you have been needing to do for a while, a closet, your desk, you e-mail inbox, your cabinets, etc. It seems that people on the HCG Diet get very easily drawn into these types of organizational projects and can do them for hours without realizing how much time has passed. Just think... if you do a small project every day, your house will be cleaner and organized as it's ever been. #7.) Be inspired: Watch an inspiring movie (one that shows the growth of character) to get your mind, heart, and spirit engaged. Not only will watching a movie distract your for about 2 hours, but if you choose the right movies you can start to crave self-betterment and it can help you recommit to dieting. #8.) Facebook: Go on Facebook and check up on all your friends’ walls. Make posts, comment, ‘like’ their pictures, and even send messages. It’s always good to reconnect and a GREAT way to let your mind escape from the HCG Diet. #9.) Catch Up: Send emails or write letters to old friends. #10.) Veg Out: Go and buy a full TV season on DVD of some of your favorite shows. They are so easy to put on and just keep watching (without commercials) for hours. #11.) Work: Do some work that you have been putting off. Just dive right in! You can upload and organize pictures from your camera or clean underneath your bathroom counter or closet. #12.) Read a book: (if that is your thing). If I would sit down and try to read a book while I am craving something, I would last 30 seconds, but if you love to read, then give this a try! 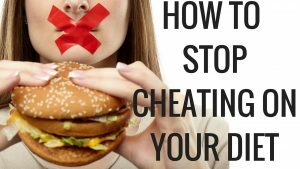 Hopefully, this article has given you some ideas of things you can do instead of cheating on the HCG Diet. Remember to be strong because 'nothing tastes as good as skinny feels'. What next... Read our article Top 7 HCG Tips & Tricks for the HCG Diet.